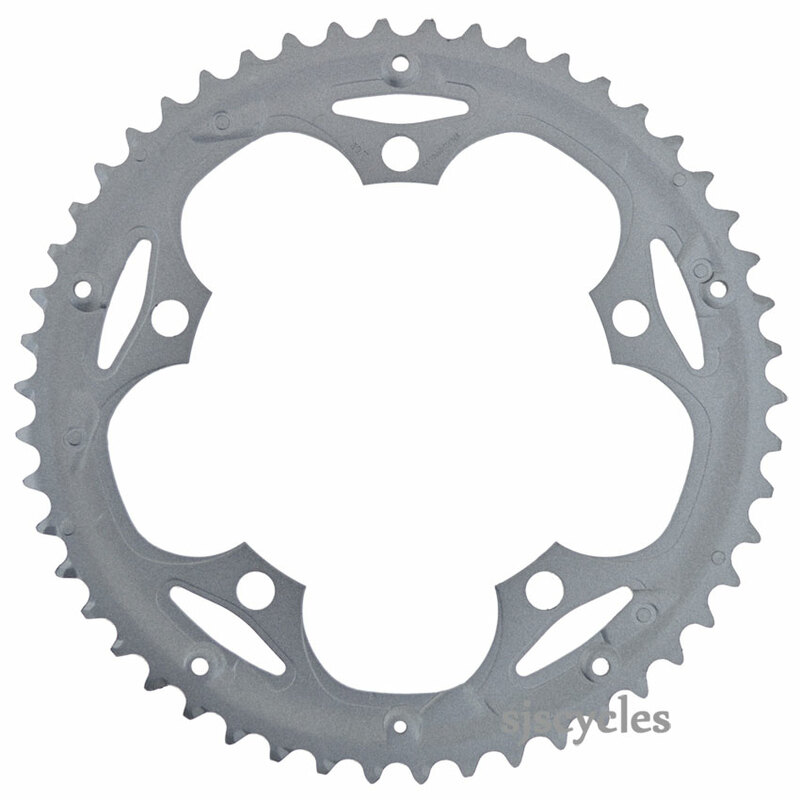 This Outer Chainring can only be used with Shimano Claris FC-2403 8spd Triple Chainsets with a 50-39-30T set up. Can this be used at all with 2x8 speed sora chainset. i e as outer ring? This will work as an outer ring, but we would recommend fitting the direct replacement to your Sora chainset to ensure correct fitting and shifting. The outer is SJSC part number 36343 and the middle is SJSC part number 36344.